For this outfit I decided to mix things up a bit. 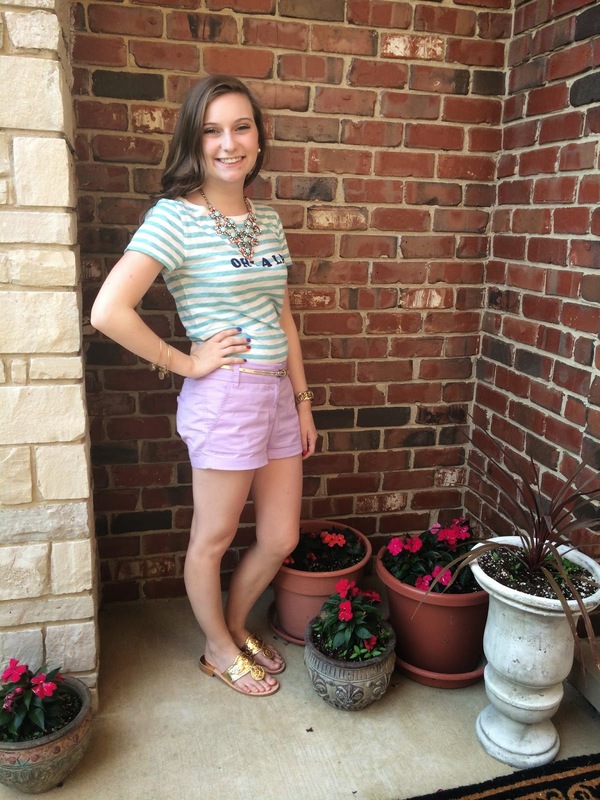 So, I paired these purple chino shorts with a fun graphic tee. 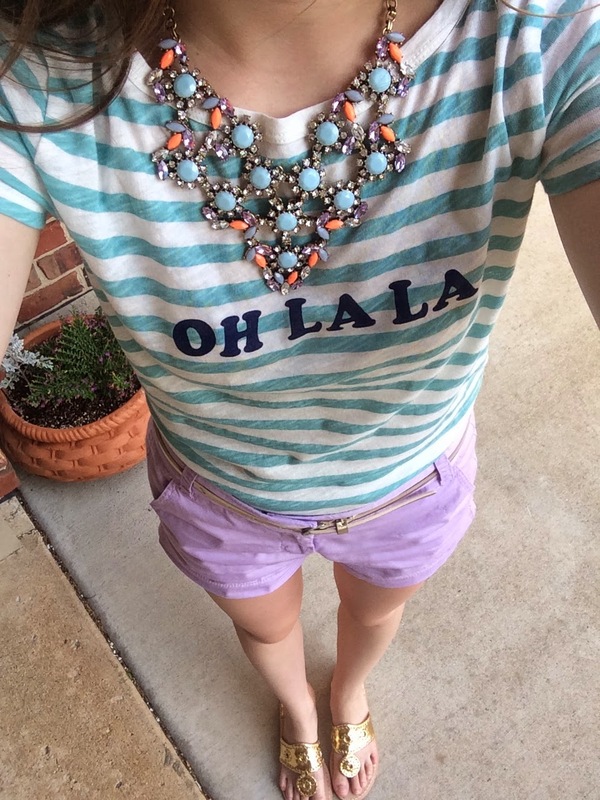 The tee says Oh La La which I love! 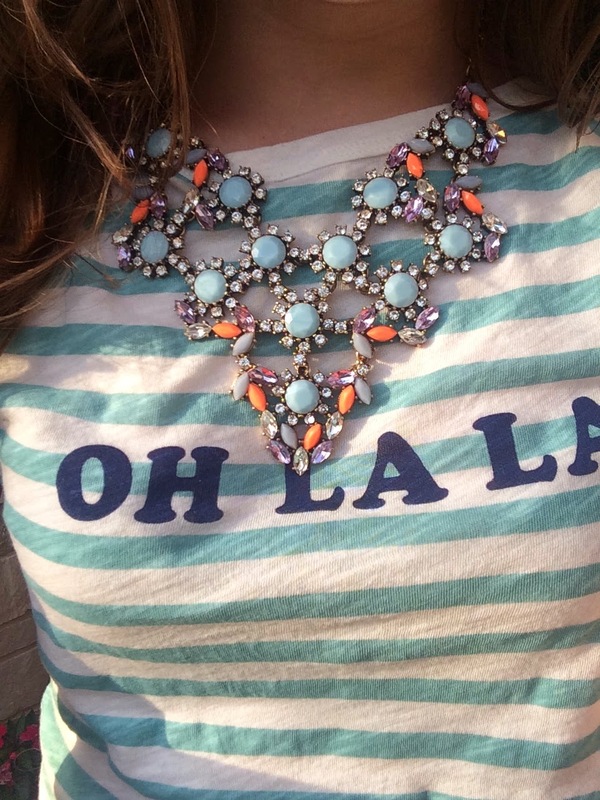 I am a sucker for shirts with french words on them. I only took 2 years of high school french but I still love the language. To tie in the purple and the blues in the look I wore a fun statement necklace that ties the whole look together. I love statement necklaces with multiple colors because they can go with a lot of different looks. For shoes I wore my trusty Jack Rogers (the usual). Then I completed the look with pearls, a skinny gold belt, a watch, and some bangles. I think this look is a great way to style a fun t-shirt. 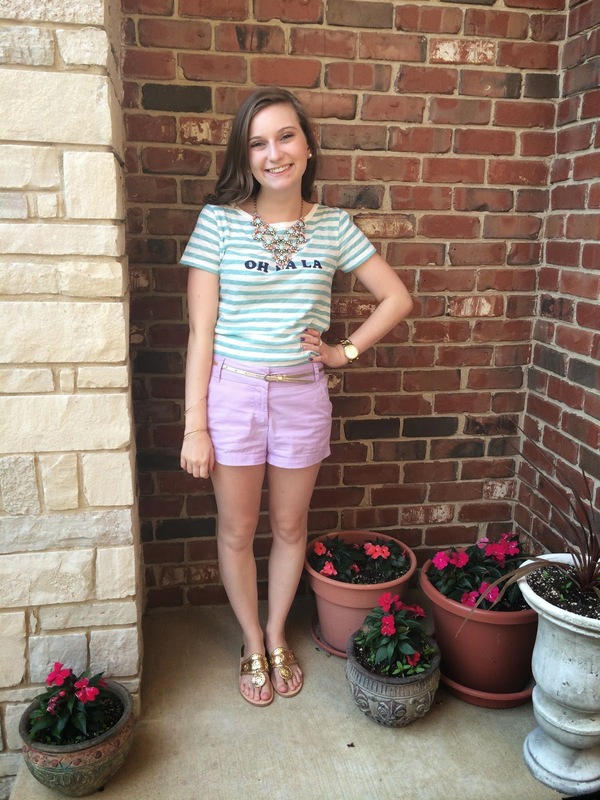 You can mix up a tee by pairing it with colored or printed shorts suppose to just normal denim shorts!